Take your winter adventure to a whole new level, with the versatile and one-of-a-kind SnowDog! With a machine this awesome, there’s no end to the fun that you can have out there. A more affordable version of the snowmobile, you can fish, hunt, and explore this winter, then turn hard work into adventure! 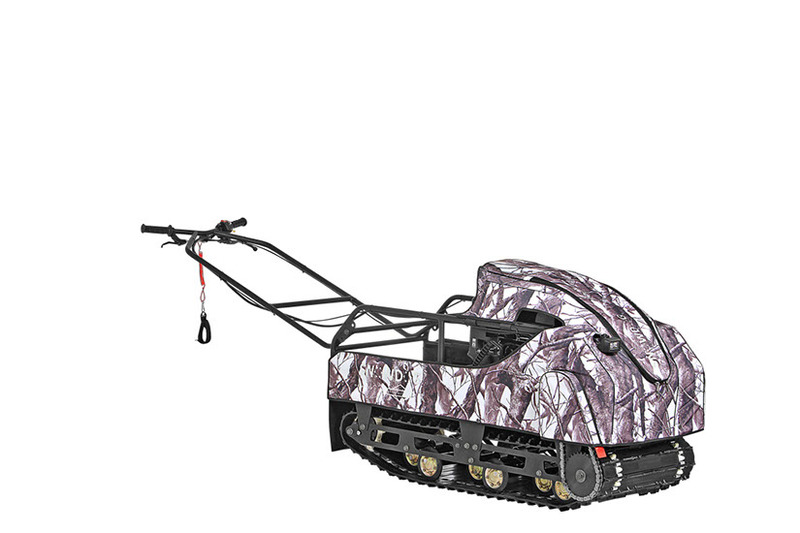 A must-have for hunters, trappers, and fishermen, SnowDogs are vastly upgraded versions of conventional snowmobiles and boast optimum safety, lightweight design, power, year-round use, affordability, and more. To check out our inventory of SnowDog vehicles and accessories, take some time to drop by Powerhouse Outdoor Equipment in St. Joseph and St. Cloud, MN. Enjoy a quick walkthrough of our impressive inventory by our expert team of professionals today! The standard SnowDog comes in 2 models: the Standard B13ME and the Standard B13MER. This is the perfect rig for traveling long distances in deep snow, pulling loads of 660+ lbs. If you’re looking at better off-road performance and more cargo space, then the standard model is what you should be going in for. Equipped with a powerful 13.5 hp Briggs & Stratton engine and a CVT, standard snowdogs can effortlessly conquer ice tracks, deep snow, and rough terrain. More portable, lightweight, and easy to transfer than its standard counterpart, the Compact SnowDog is little enough to pack into most car trunks! Ideal for forest trails and snowy landscapes, Compact SnowDogs are equipped with a 13.5 hp Briggs & Stratton engine and CVT, and can haul sleds with weight up to 440 lbs on dry ground (with the ability to haul much more on snow and ice). Like most awesome machines, accessorizing your SnowDog can take its overall performance and utility to a whole new level. And when it comes to the options available, there’s everything you can can think of to get the most out of your machine, including cargo semi-trailers, sled skates, cushioned seats for the sled, and more!